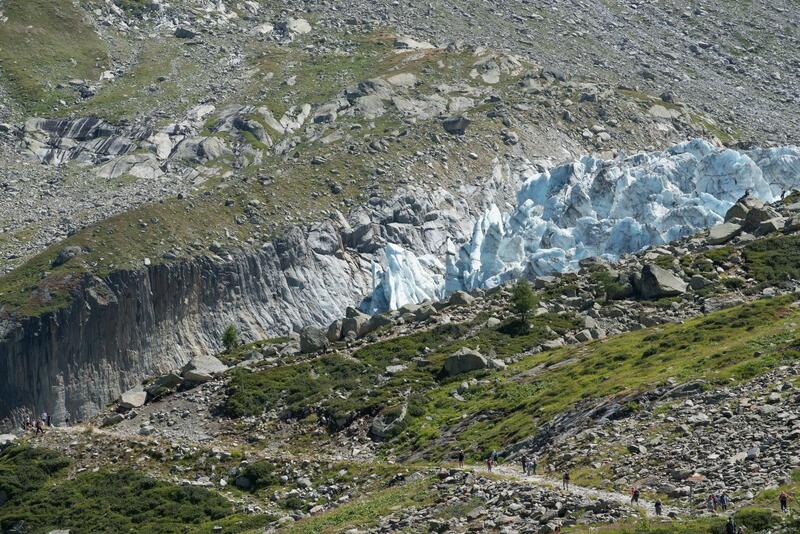 Unlike rock, we find glacial terrain only in the mountains, in some ranges. 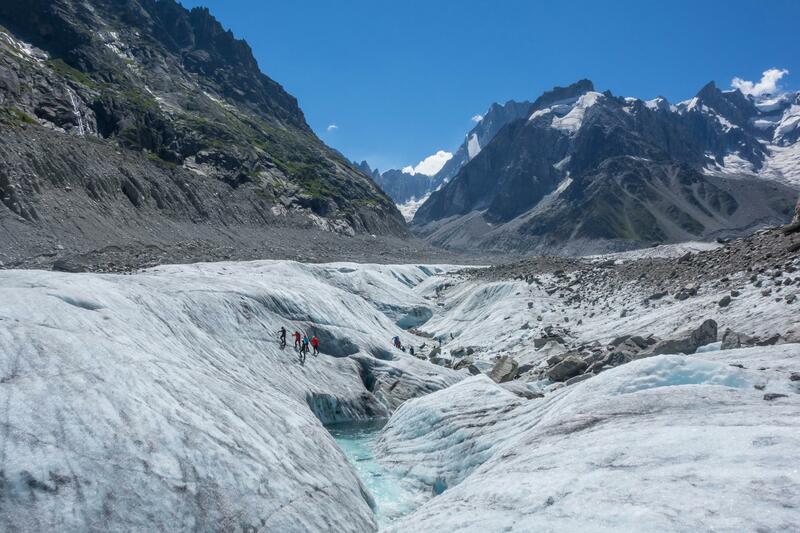 That is why the discovery of the glacier hiking, with crampons, is a very specific activity in Chamonix. 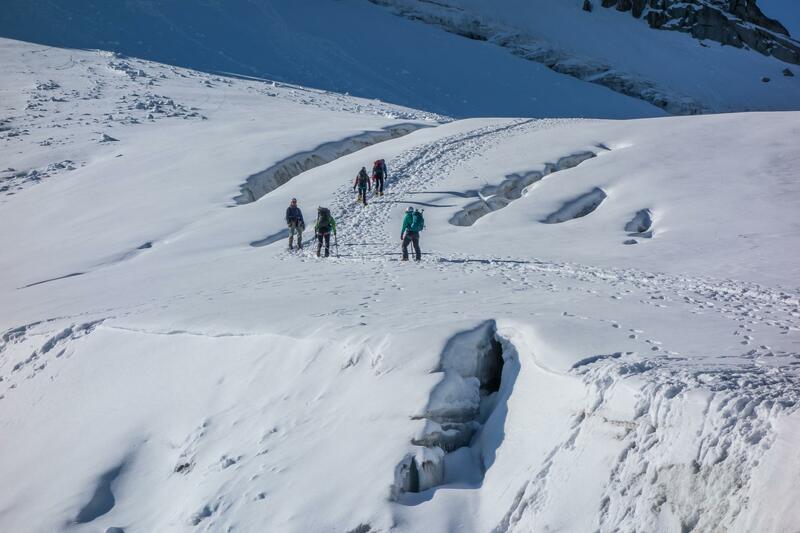 Beyond the discovery, crampon techniques are necessary in many high mountain ascents and it is very helpful to practice them regularly.